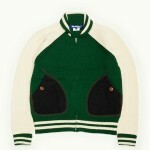 Junya Watanabe takes the standard varsity jacket design and makes it relevant on a knit sweater. 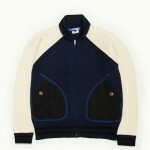 Zip front, raglan styled sleeves, thick striped ribbing at collar, hem and rolled cuffs. 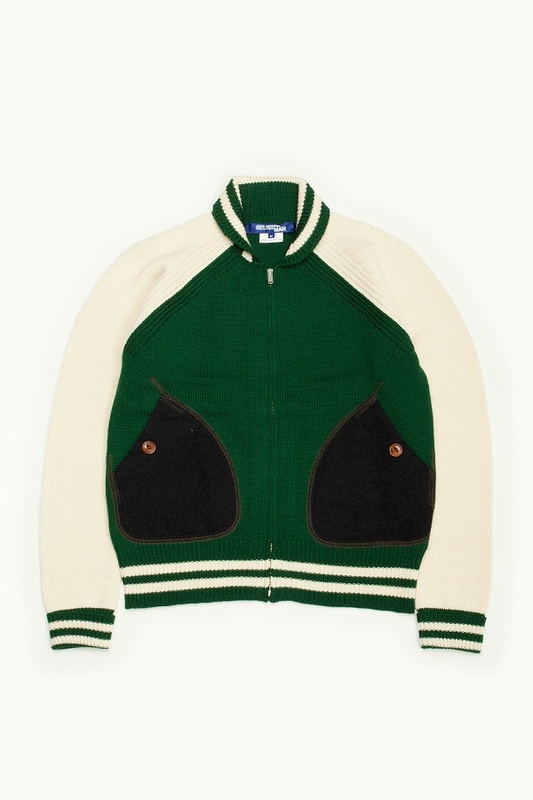 Contrast Melton wool front patch pockets with button closure. 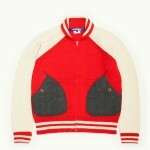 Available in three vibrant colours: navy, red and green.